Our summer packages include exclusive dining in a unique and social setting where exquisite meals, sunset views, and good company make for a memorable evening. 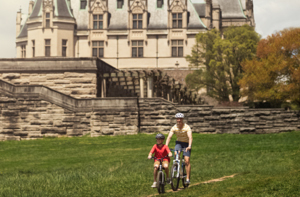 Or, take advantage of the warmer temps and longer days with an outdoor adventure that allows you to experience a new side of Biltmore sure to inspire. 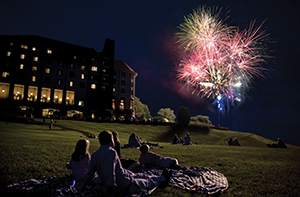 Summer is when we celebrate so many special events with fireworks and fanfare, outdoor concerts with premium seats, and estate transportation to make your stay flawless. Select summer packages include estate admission for the length of your stay featuring America’s largest home and historic gardens. 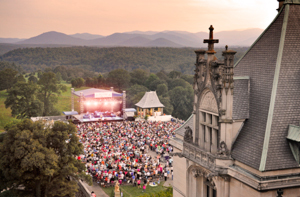 Our concert packages include admission to Biltmore Concert Series evening concerts. Gather family and friends for a relaxing summertime stay that allows you to re-connect with nature, explore Biltmore’s farm life, and enjoy acres of gardens and trails at your own pace. As day transitions to night, return to our luxurious four-star Inn to relax with gracious hospitality, sumptuous four-star dining, and impeccable service. *Rates are based on double occupancy in a deluxe double or king room and are subject to applicable tax and availability. Gratuities are not included. Package applicable up to a four-night stay. Blackout dates include July 25, July 26, August 3, August 6, August 9, and August 10, 2019. **Bike Rentals provided through Bike Barn on day of rental. Bike Barn hours vary seasonally. Bikes are available on a first-come, first-served basis. No advance reservations are offered or required. Bike Rental availability is weather-dependent. ***Not included in Biltmore Annual Passholder Package. ****Complimentary activities and events are subject to seasonal availability.